We knew it was coming. Eventually. A new hypercar. Lotus has certainly had its shares of ups and downs over the years, the last several in particular. But now that it’s parent company is Geely, the same automaker who owns Volvo and Polestar, real progress on new models is finally underway. Today, Lotus has released its first teaser image of its all-new hypercar, called the Type 130. It is its first new product in over a decade. And yes, the Type 130 will be all-electric. And don’t think for a moment this is announcement is similar to what Lotus did back in 2010 at the Paris Motor Show when it revealed several concepts, none of which entered production. 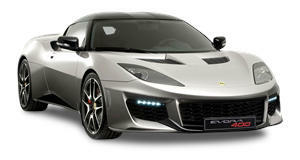 That was when Lotus was under the command of now-former CEO Dany Bahar and its former Malaysian owner, Proton. Things are (hopefully) very different today and Geely’s so far successful track record with Volvo’s revival and the launch of the Polestar brand is promising. The name, Type 130, is in reference to some of the company’s most groundbreaking models throughout its 71-year history. A few world’s first examples include the Type 14, which had a composite monocoque production car in 1957, the carbon fiber Type 88 F1 car, and the Type 111, which was 1995’s Elise, the first aluminum and bonded extrusion construction production car. Additional details about the Type 130 are not yet available, but Lotus confirmed it will be revealed, specs and technical aspects and all, in full later this year in London. So far, the only other all-electric hypercar built from the ground up by an automaker is the Rimac Concept One and upcoming C_Two. Lotus is seriously about to up its game.